I have had quite a productive vacation day (trying to burn some vacation days before the end of the year) so far: exercise, running errands, a bit of Christmas shopping/preparations, a Trader Joe’s run, as well as picking up another round of trashcans worth of leaves. To have the time and gumption to put together another spotty blog post is another plus. 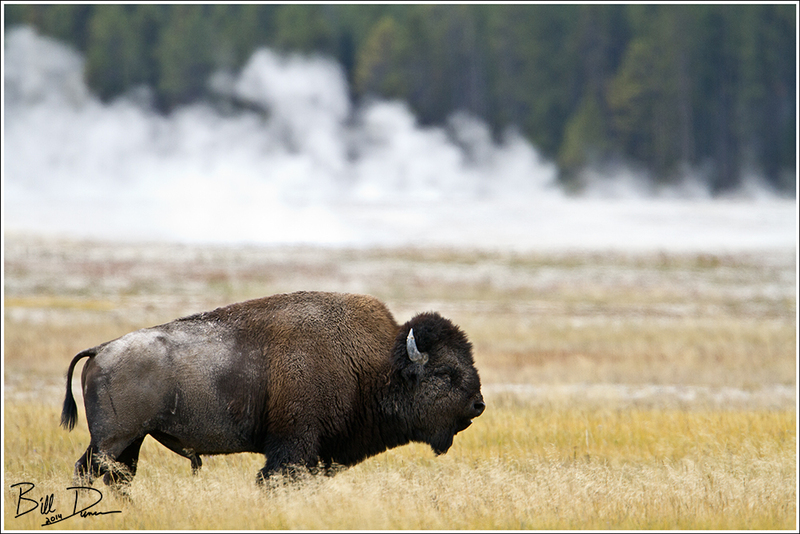 So hear we go, five of my favorite wildlife image examples from our Yellowstone trip in September 2014. Sarah and I feel we mostly struck out in the wildlife department during our trip. We did see some great animals of the west, but we struck out a few times on our quest to view and photograph moose, missed being in the right place at the right time for bears, and wouldn’t even allow myself to say the word “wolf” aloud. 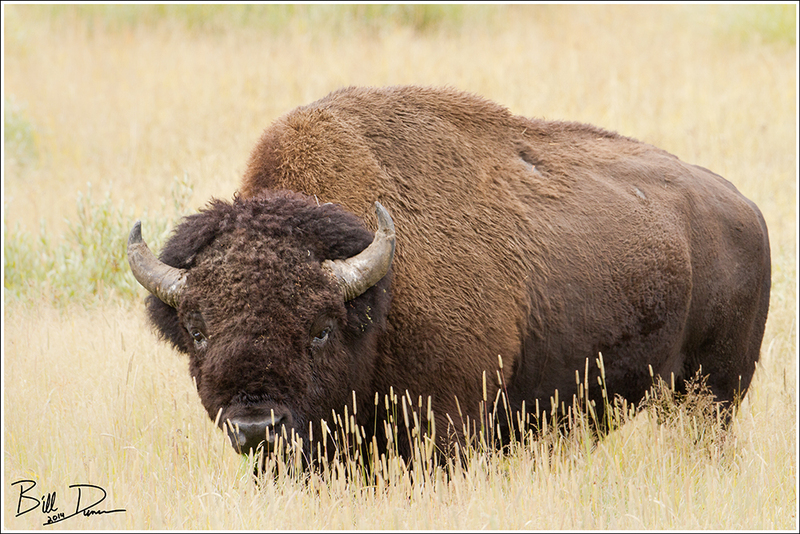 Watching and photographing wild, free-roaming bison, REAL Bison (notice how I didn’t say Buffalo? ), was a great pleasure. The fact that our Lake Yellowstone hotel room was set to a constant broil, forcing us to sleep with the window open in sub-freezing temperatures, afforded an unexpected pleasure during our final night. A mature bison cow decided to spend the night right under our open window, constantly ripping and munching the turf as we dozed. Anyway, this image was taken on the northern end of the Hayden valley. I loved watching the pronghorn. There are so many fascinating tidbits about their biology, such as the fact that they are the only animals with horns that shed them, or that they are considered the fastest land animal in the western hemisphere. 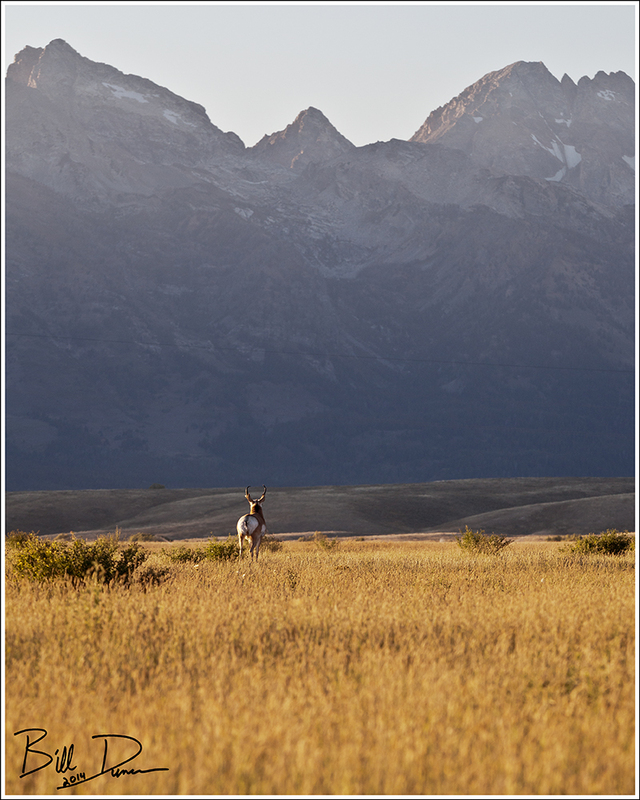 This one was photographed at the National Elk Refuge, as it seemed to take in the sites. Even though I added a number of bird species to the life list, it seemed circumstances rarely allowed the opportunity to attempt photographs. 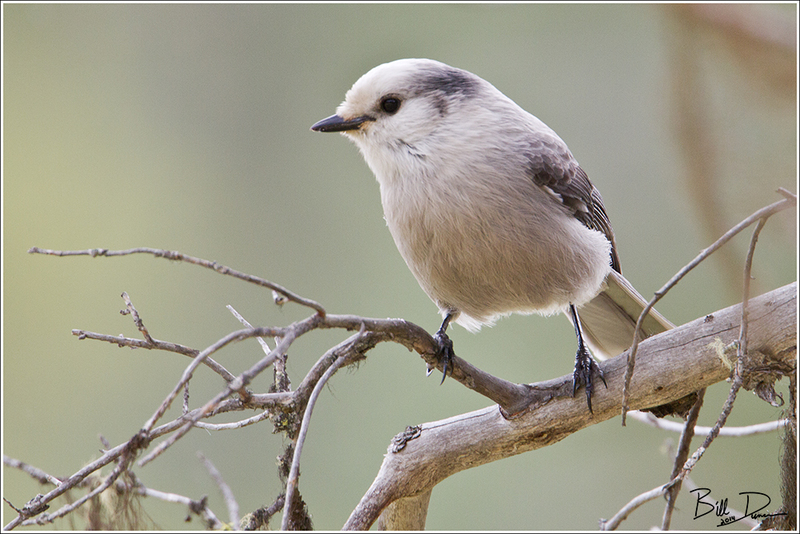 This rare exception shows one of a number of Gray Jays that were found foraging along the road in an out of the way stretch of the north-east entrance road, just north of the Lamar Valley. We found this guy near the road on the same north-east stretch. Such a massive, healthy animal! Looking at him it comes as no surprise how they manage to survive a Yellowstone winter. 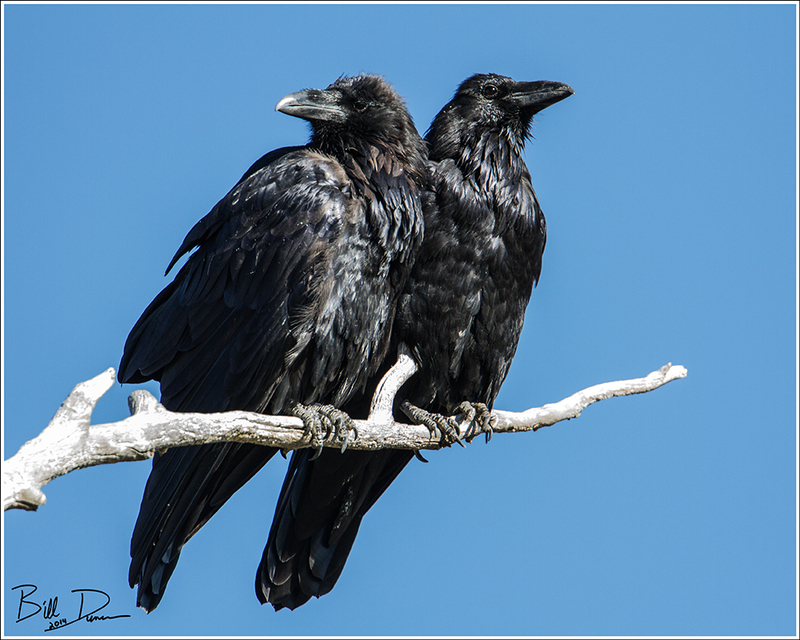 Ravens! This was a target species for me. Soon after finding my first Yellow-headed Blackbird of the trip (a lifer as well), we came upon this pair, who were content to let me photograph as they picked up some morning sun. Photographing black birds is always a challenge. I think I handled the situation as well as possible.